The Southernmost state of Kerala has a unique culture and tradition that can be found nowhere else in the country. The same can be said of its exclusive Architecture where one can find the buildings, palaces and monuments existing in perfect harmony with nature and climatic conditions. Another key feature that one needs to note is that the majority of the materials used for construction have been procured by local resources and these materials differ when we compare a resident home and a place of worship. What’s common is the science that they follow, for as long as the concept of architecture existed in Kerala we have always followed Thatchu Shasthra and Vastu Sashthra. Thatchu Shasthra is the science of carpentry that governs the building/construction nuance while Vastu Sashthra deals with the position of individual features of the household. The concept of Vastu Sashthra has always been an enigma to the outside world. 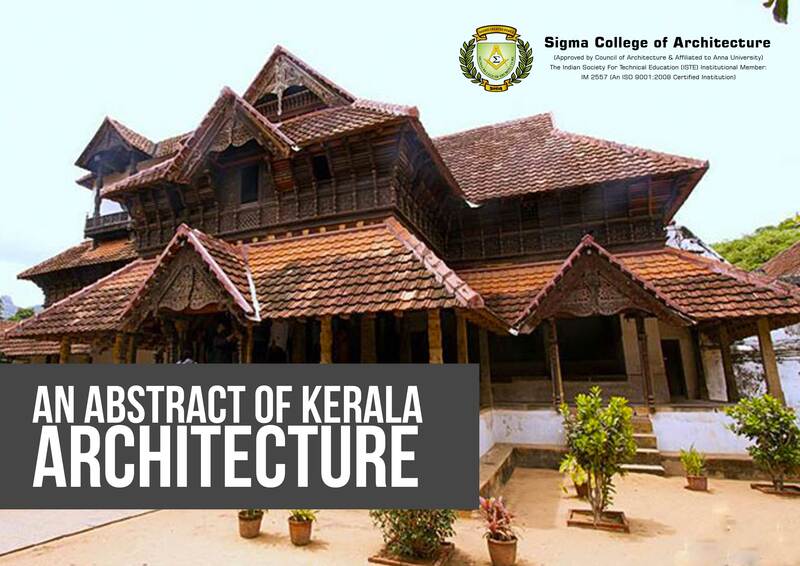 Here at Sigma College of Architecture, one of the top architectural colleges in South India we give special importance to these history that speaks volumes of our state’s culture and heritage.